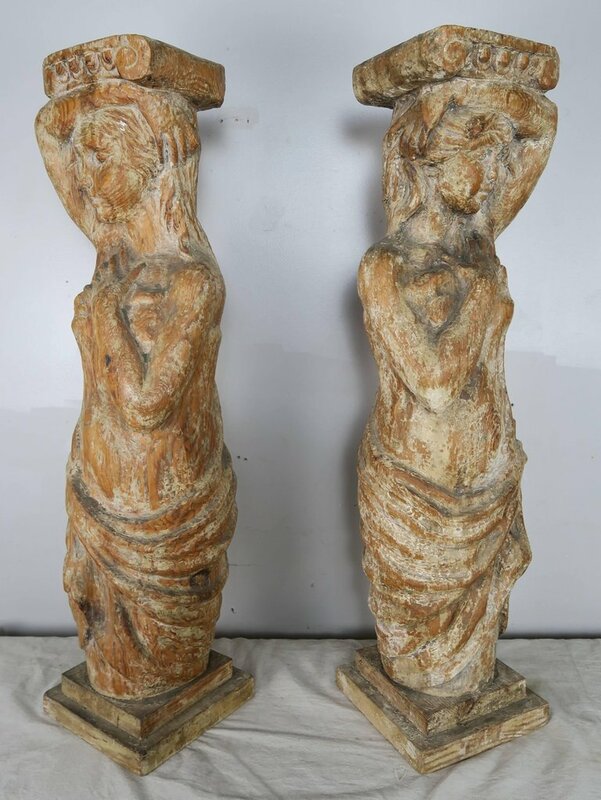 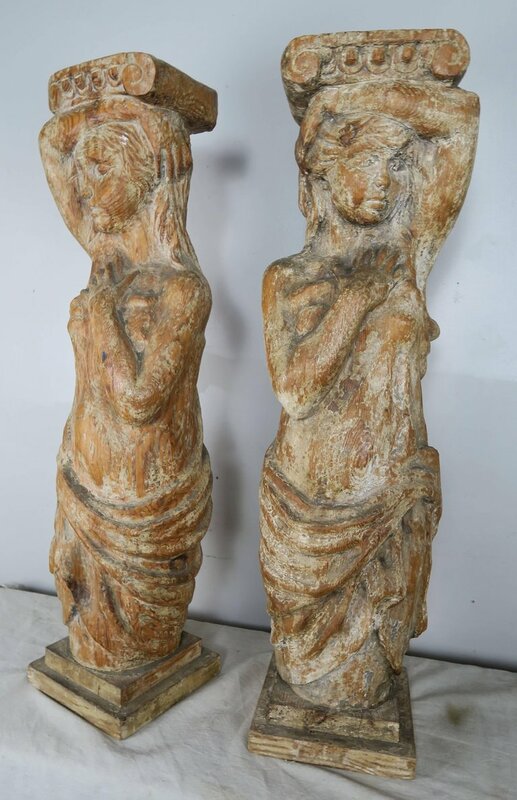 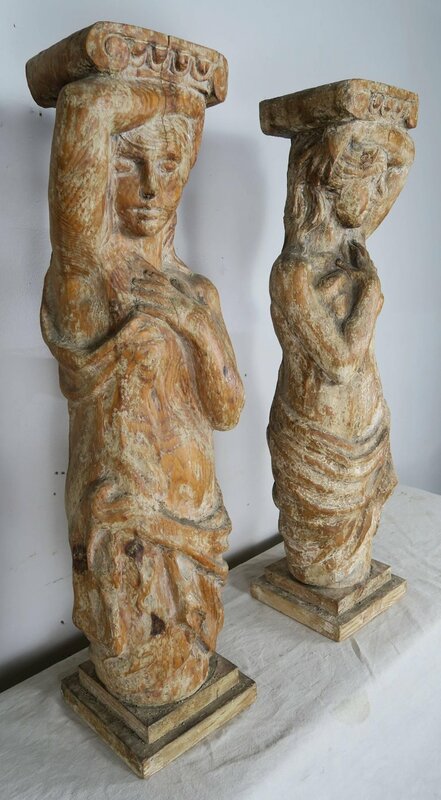 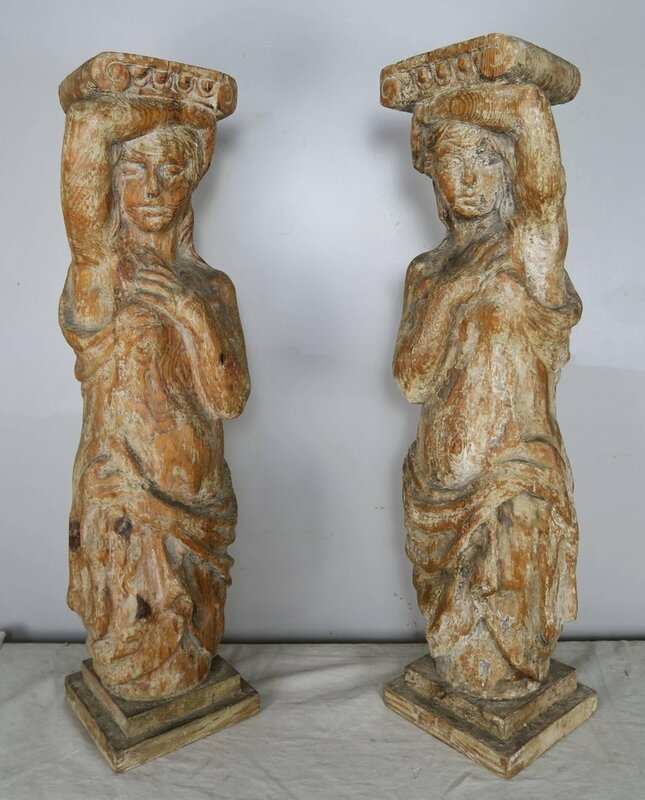 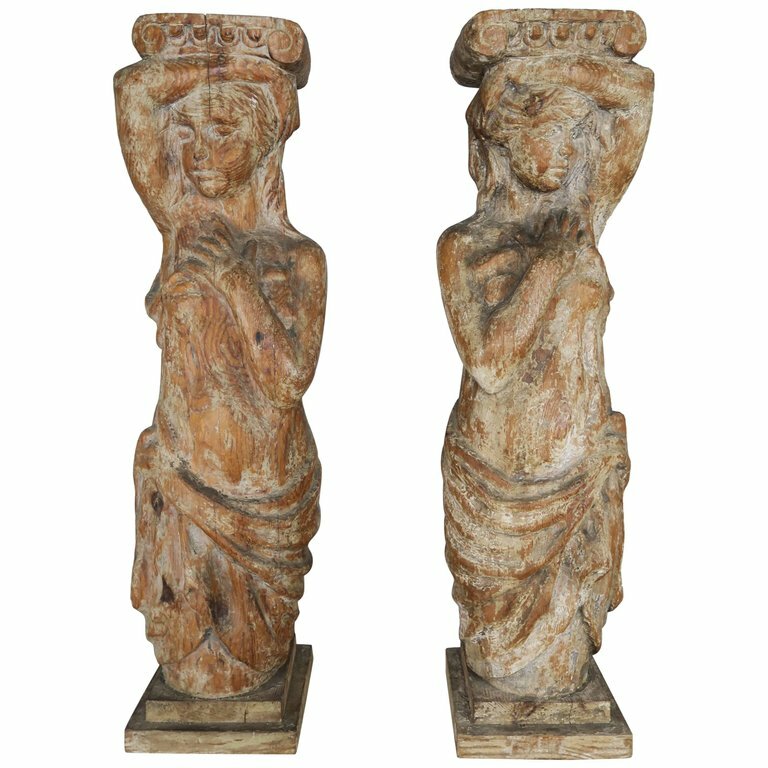 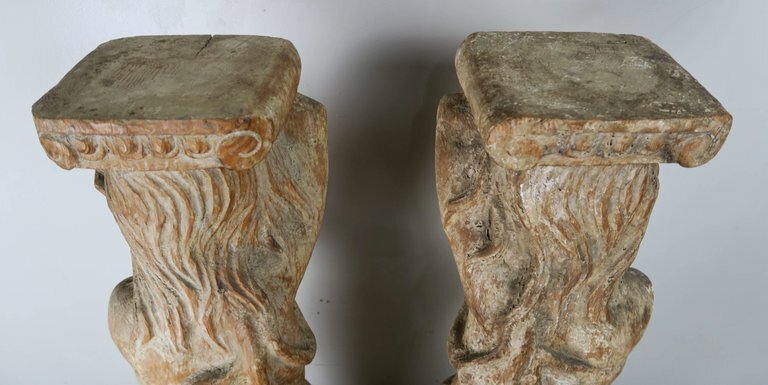 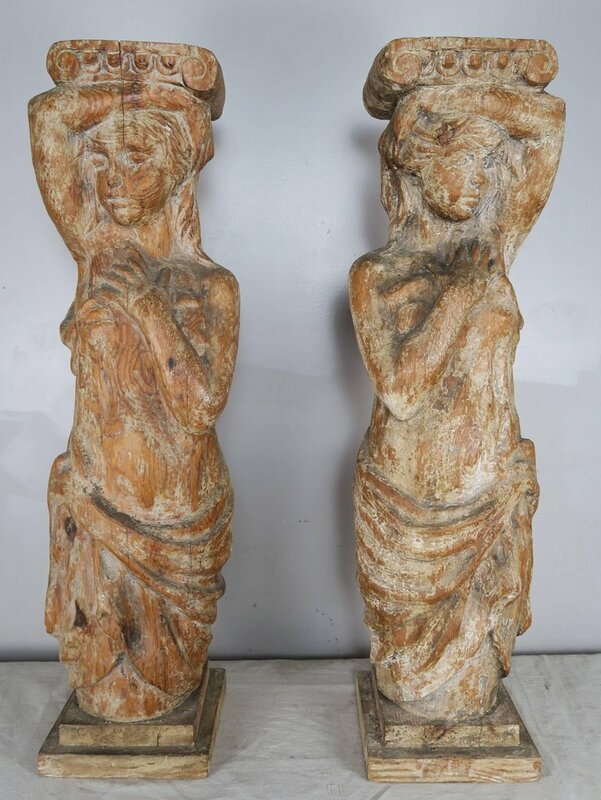 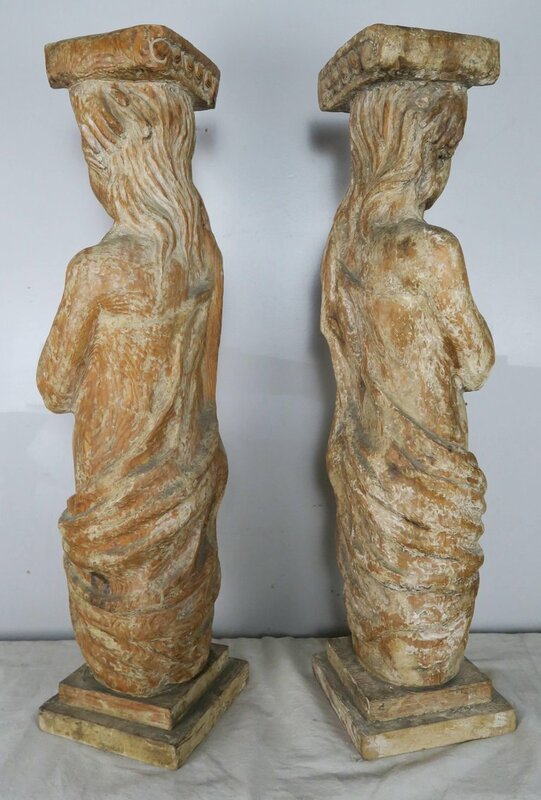 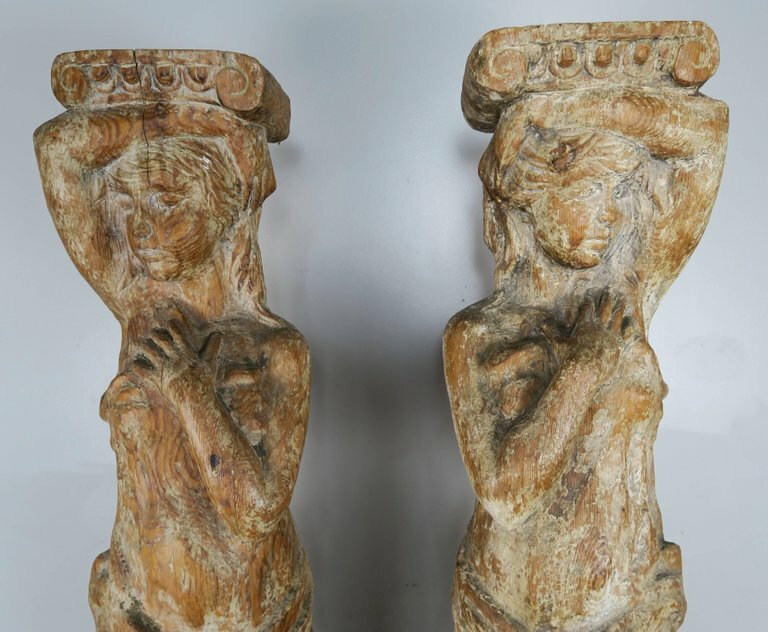 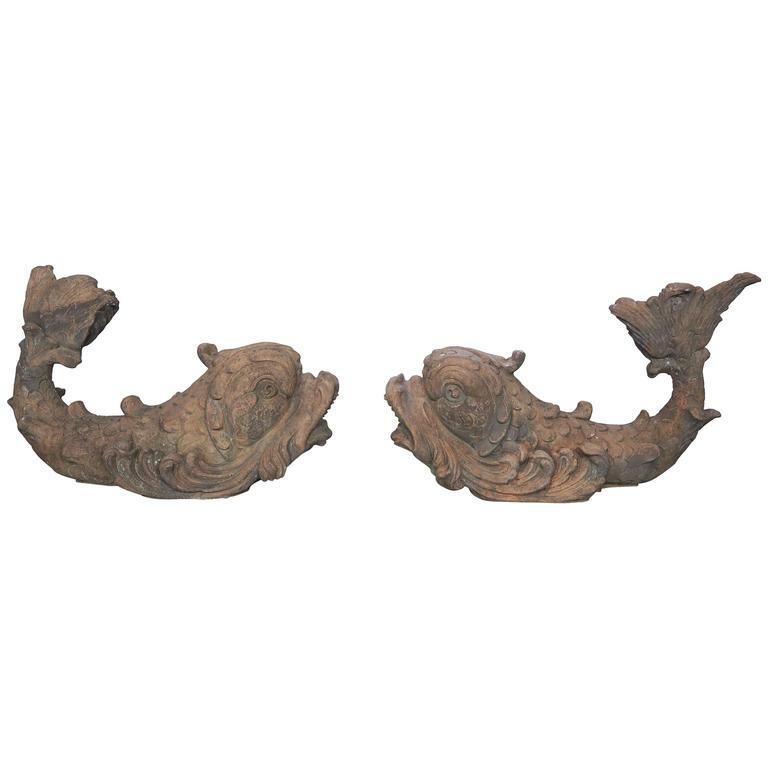 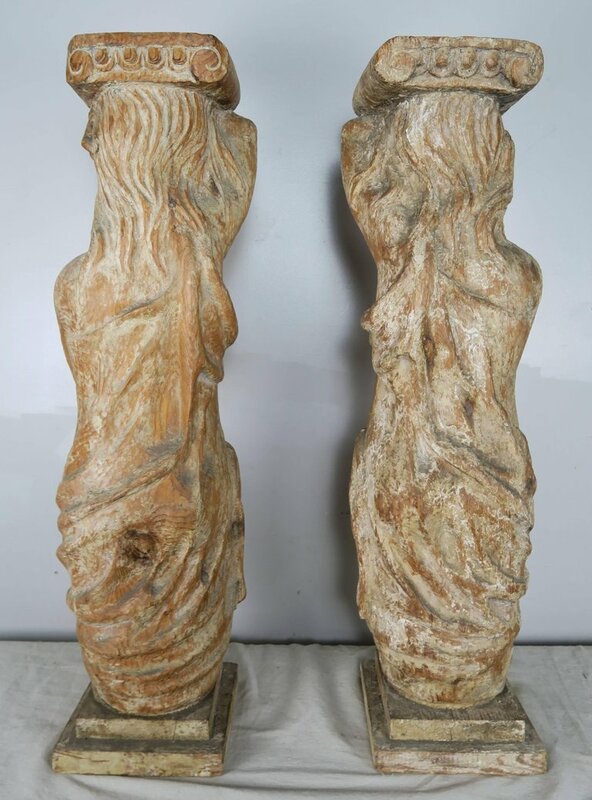 Pair of beautiful Spanish opposed carved wood figural pedestals. 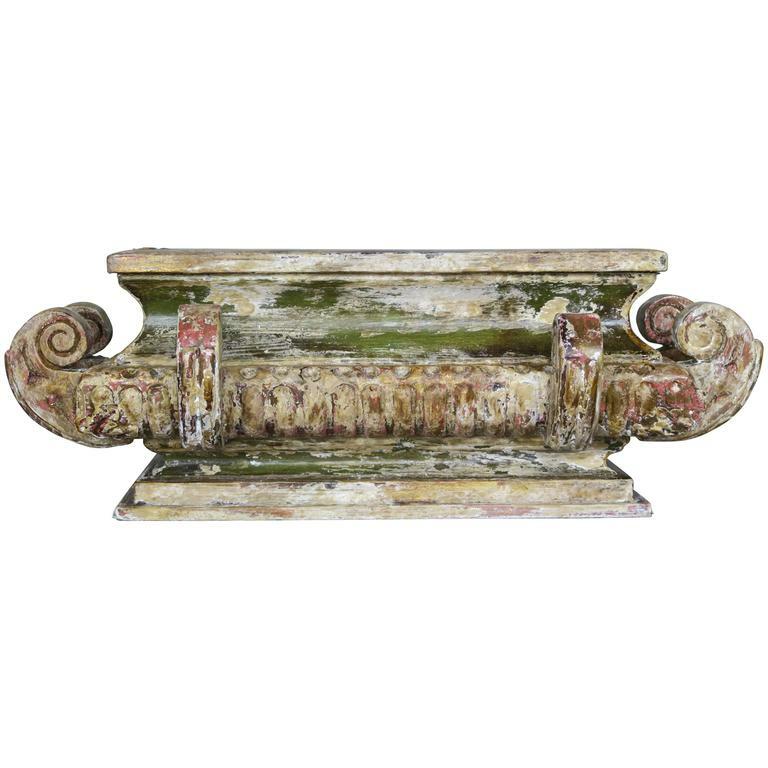 The pedestal can be used to hold planters of chunky candles. 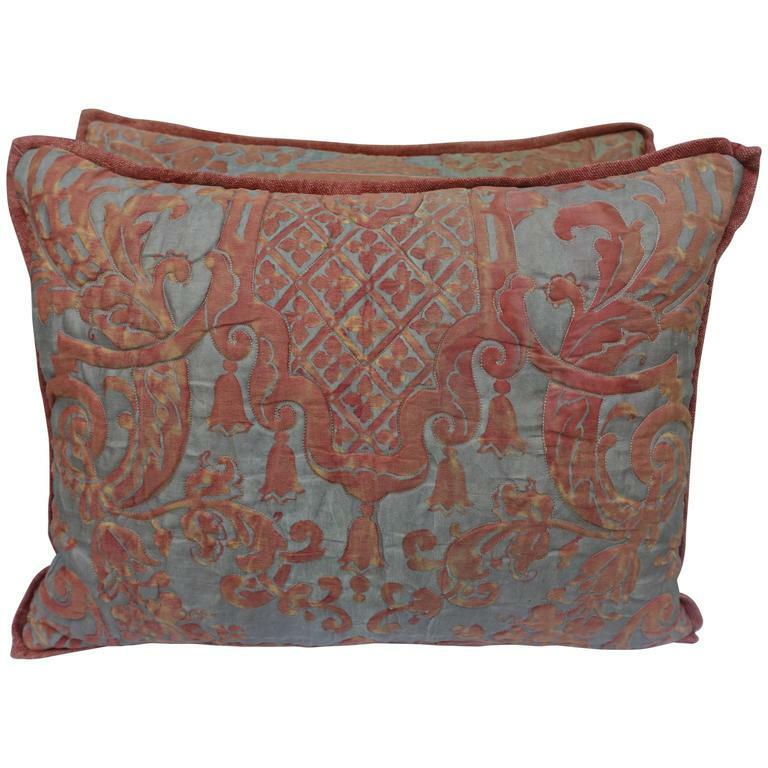 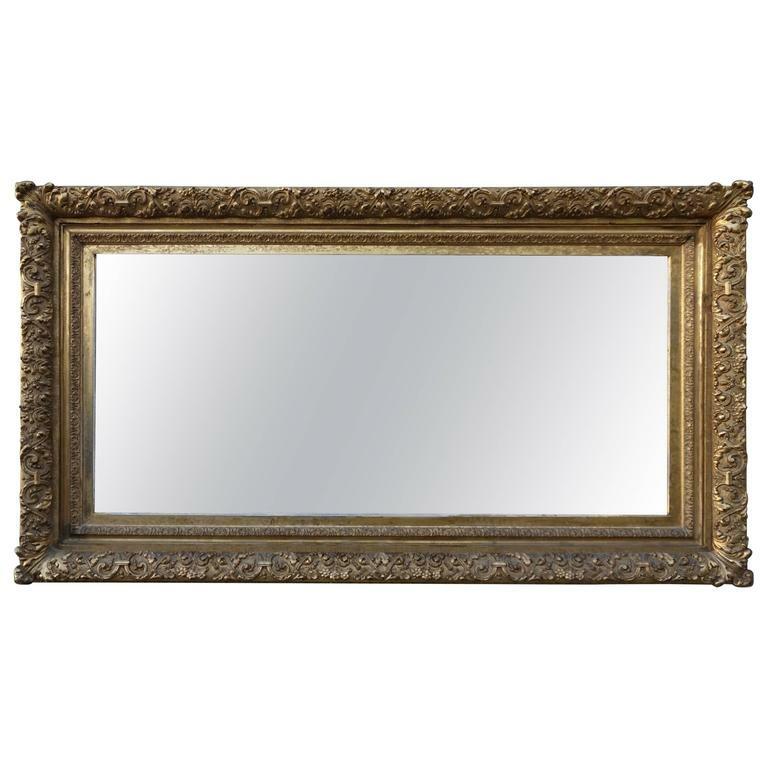 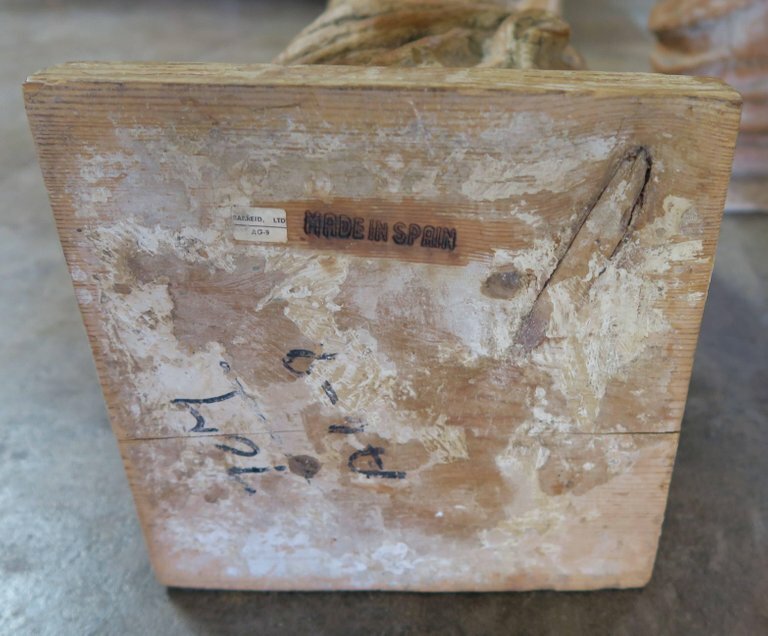 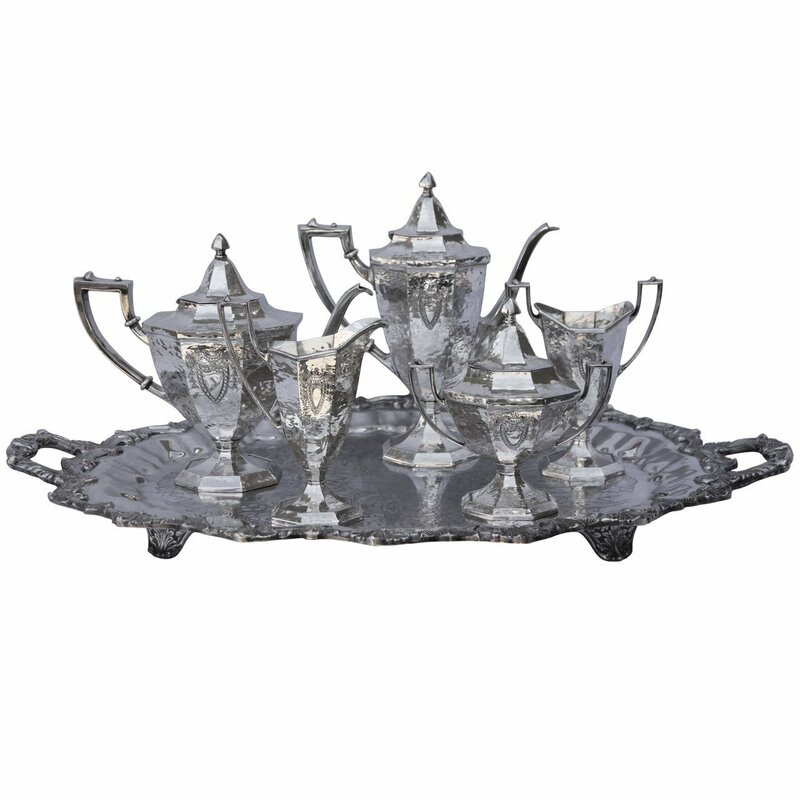 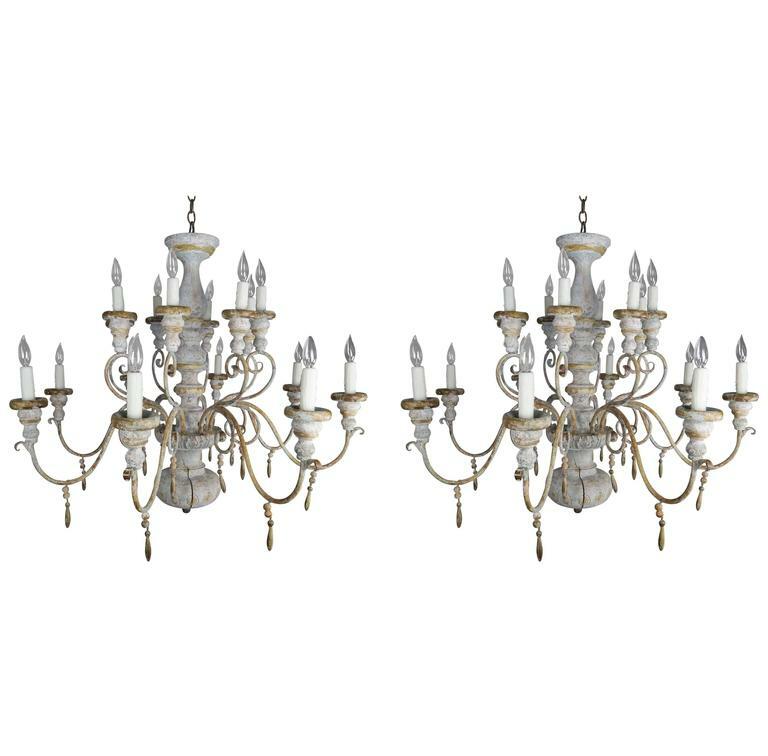 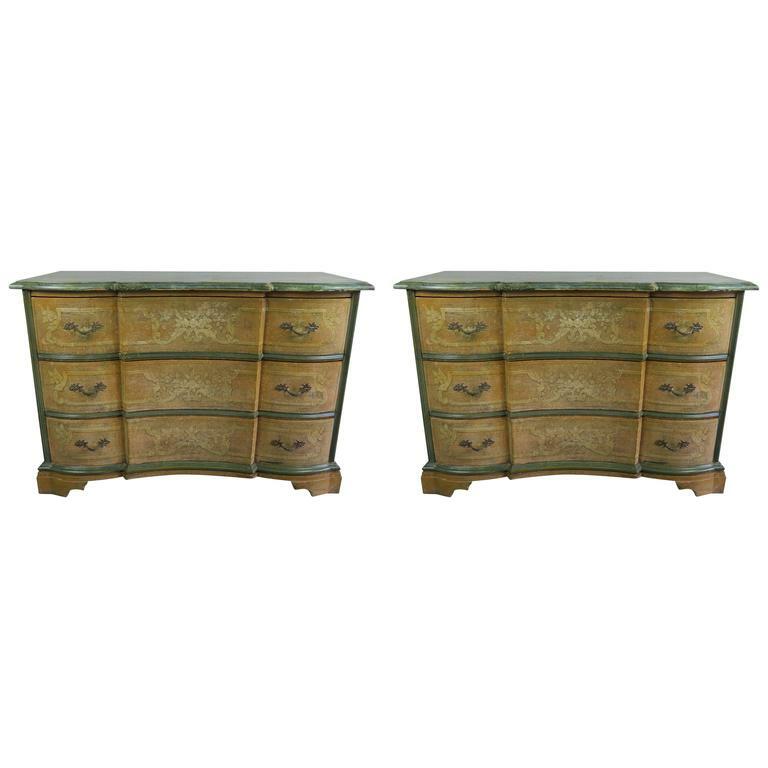 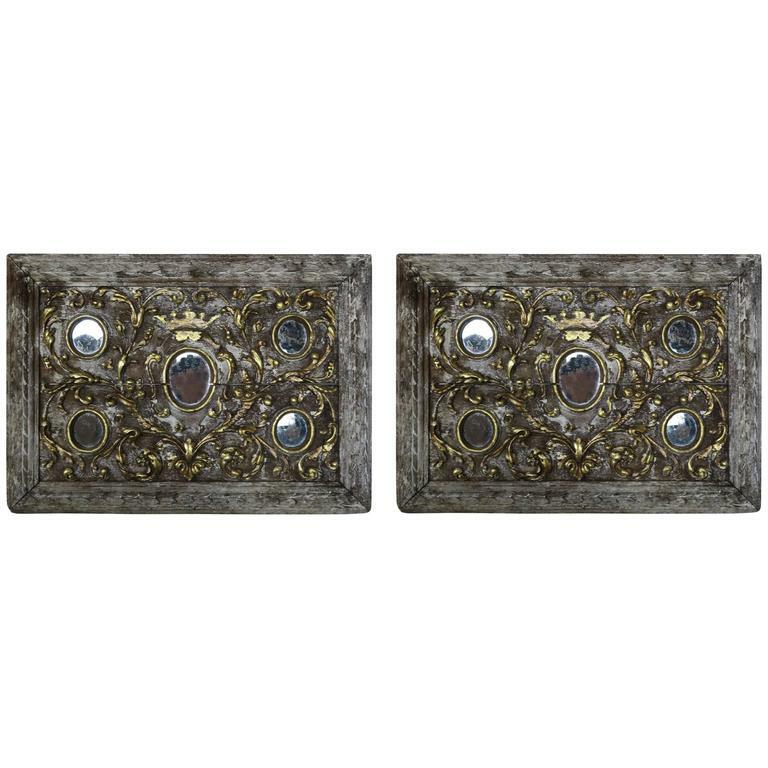 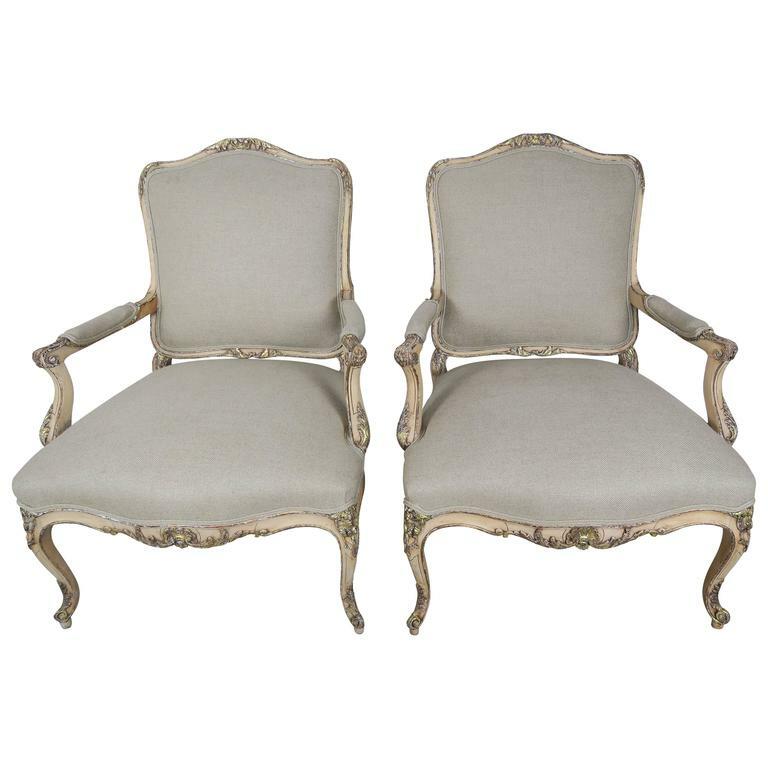 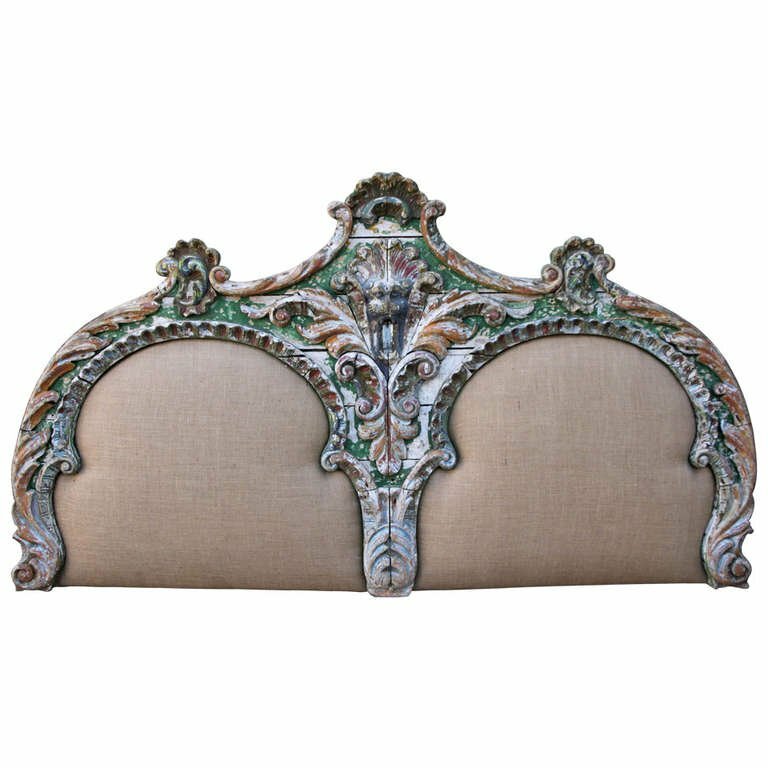 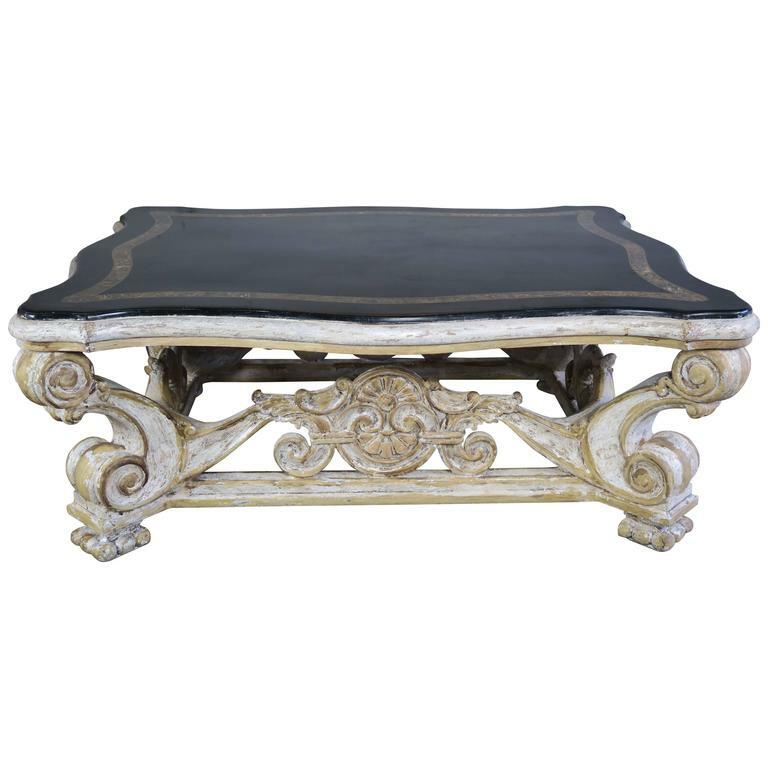 The pair of pedestals could also be the base to a console table or sofa back table.